Honoree Craig Sager accepts the Jimmy V Award for Perseverance during the 2016 ESPYS at the Microsoft Theater in Los Angeles on July 13, 2016. Craig Sager, the veteran sports broadcaster known for his colorful, flashy suits and quick-witted sideline banter at NBA basketball games, died Thursday at the age of 65. Sager, who spent four decades as a reporter for Turner Broadcasting, died after a long and public battle with cancer that, as Shaun Powell notes for NBA.com, transformed him into a national symbol of courage, and added the phrase “Sager strong” to the national lexicon. Sager was diagnosed with leukemia in April 2014, and he took an 11-month leave of absence from his broadcast duties (during which his son, Craig Sager II, often stood in for him) before returning to work. When the disease returned shortly thereafter, he continued to work as he underwent treatment, covering playoff games for TNT. In July he underwent a third bone marrow surgery. NBA.com reports that during the 2016 playoffs, he shuttled between a cancer-treatment center in Houston and his reporting assignments in other cities. The schedule was exhausting and made heavy demands on his body, but Sager remained positive. Sager began his broadcasting career in 1972 with WXLT in Sarasota, Fla. He was there at home plate when Hank Aaron beat Babe Ruth’s home run record. After doing freelance work for the 1980 MLB playoffs, he was hired by CNN in 1981, beginning his 35-year career with Turner Broadcasting. Sager is primarily known for the 17 years he spent working on TNT’s coverage of the NBA. He was known for his colorful mix of neckties and suits, which NBA.com reports he took great care in choosing, and rarely wore any of them more than twice. “He’s on the Mount Rushmore of sideline reporters, and Mount Rushmore has a lot more color to it as a result,” Ernie Johnson Jr., a colleague of Sager’s at TNT, said. “But you can’t get lost in the wardrobe, because he was very good at what he did and cultivated a lot of great relationships with so many players. The reason you get this outpouring about Craig is they knew who he is, his work ethic, and the way he doggedly went about the job." Craig Sager was a beloved member of the Turner family for more than three decades and he has been a true inspiration to us all. 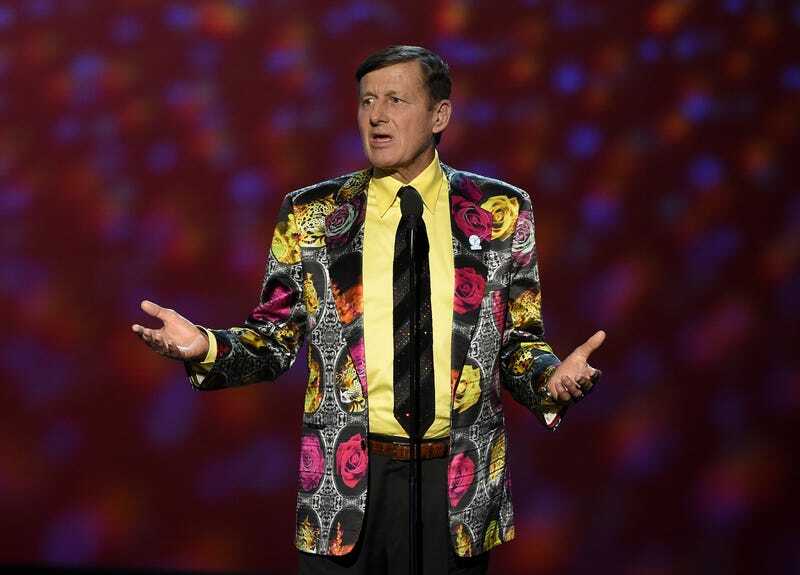 There will never be another Craig Sager. His incredible talent, tireless work ethic and commitment to his craft took him all over the world covering sports. Yes. We will forever be Sager strong. Rest in paradise, Craig Sager.